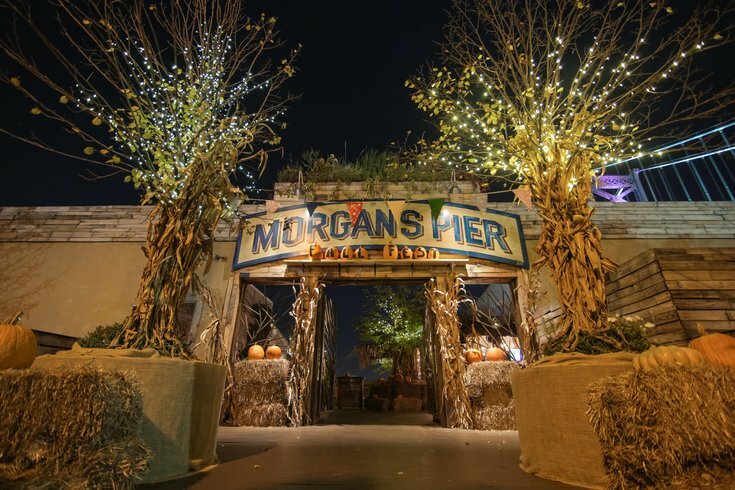 Fall Fest returns to Morgan's Pier. 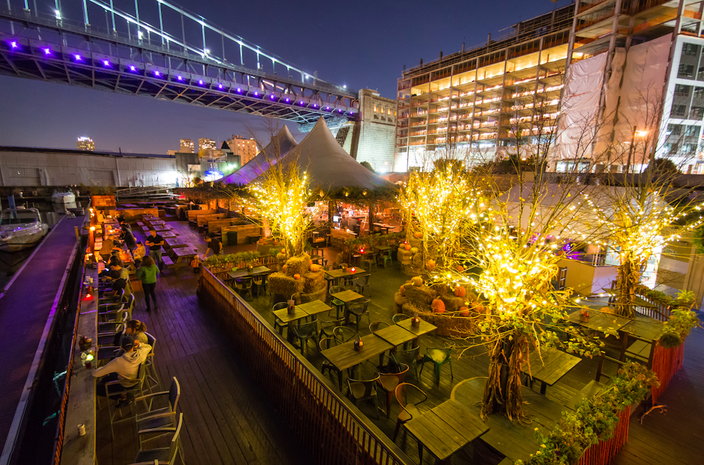 You may think of Morgan's Pier, located along the Delaware River, as a go-to summer spot to drink outdoors, but you can also hang out at the beer garden once the weather changes. On weekends, from Friday, Sept. 28, through Saturday, Oct. 28, Morgan's Pier will be open for Fall Fest, back for a fourth year. The waterfront space will be decorated with twinkling lights, pumpkins, hay bales, cornstalks and other autumn adornments. There will be weather-adjustable tents and outdoor heat lamps, too, for when the evenings turn chilly. Fall Fest at Morgan's Pier will return for a fourth year. To eat, there will be an updated fall menu from chef Adam Lazarick. Highlights include poutine with duck confit gravy and Manchego cheese; acorn flatbread with kale and pecorino on Lost Bread Co.'s bread; a smoked turkey breast sandwich with Thousand Island dressing, pickles and Swiss cheese on a pretzel bun from Lost Bread Co.; and a rotating selection of pies. Morgan's Pier guests can wash down the hearty food with seasonal craft beers, like Two Roads Roadsmary’s Baby, Southern Tier Pumking and Oskar Blues Hotbox Coffee Porter. For those looking to warm up with a hot drink, try the Apple Spiced Toddy with Crown Apple whiskey, local apple cider, lemon juice and cinnamon, or the S’mores Cocktail with rum, hot chocolate, honey, chocolate drizzle and a marshmallow. While eating and drinking, guests can enjoy one of the Fall Fest activities. The bar will offer family-friendly pumpkin carving on Saturdays and Sundays. For $5 to $10, pick a pumpkin from the patch and grab a carving kit to make a jack-o'-lantern. There will also be DJ entertainment every day, live acoustic performances on Sunday afternoons and a few upcoming special events like a a succulent workshop (Oct. 13), a dog-friendly happy hour (Oct. 14) and a paint night (Oct. 20). Morgan's Pier will also host an Oktoberfest celebration on Saturday, Oct. 6. A $40 ticket will get you a four-hour open bar, plus live music and a pretzel. Then on the final day of Fall Fest, there will be a big Halloween party with a costume contest. Tickets will be $50, but are not yet on sale. Fridays: Open at 4 p.m.
Saturdays and Sundays: Open at 11 a.m.